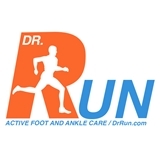 Active Foot & Ankle Care, LLC (Fair Lawn) - Book Appointment Online! Dr. Richard Braver and his team are regarded as one of the premiere podiatric and foot and ankle surgical practices in the country. Dr. Richard Braver serves as the Team Podiatric Physician for both Farleigh Dickinson University and Montclair State University for all sports. He also serves on the Scientific Advisory Board for Runner's World Magazine and has been profiled in many of the countries top publications, including: . Runner's World Magazine . USA Track and Field . The New York Times . Podiatry Today . Men's Health Magazine Dr. Braver has also contributed articles on football, soccer, track, baseball and basketball injuries of the foot as well as articles for dancers. Active Foot and Ankle Care has offices throughout Northern New Jersey. Our main office is conveniently located in Fair Lawn as well as offices in Englewood and Riverdale. They took me back and got started right away. There was s bit of a wait to be seen by Dr. Braver, but he listened to the concerns and took care of them.